One of classical musicians’ biggest jobs is deciding what to perform. They know the music — centuries’ worth. How does one choose? “People always seem to think we put wonderful programs together,” says the Dutch-born cellist Davydov, sounding modest and a little surprised. But that’s for a reason, according to Fanning: “We put so much effort and thought into our programs,” she says. On Sunday, the Davydov-Fanning Duo will bring to Burlington a new concert of Couperin, Beethoven, Debussy and Mendelssohn that typifies its carefully considered programming. The musicians chose Couperin’s Baroque-era suite, Beethoven’s A-major sonata, solo piano pieces by Debussy and Mendelssohn’s D-major sonata for a host of reasons beyond simple love of the music. Other considerations included the concert’s structure and balance, the endurance of listeners and musicians, parallels in composers’ biographies, and homages of one composer to another. That movement is Mendelssohn’s explicit homage to Bach, who had fallen into obscurity by Mendelssohn’s time, and whom he spent much of his career restoring to recognition. Fanning calls the sonata “magnificent,” an “instant hit” of a piece Mendelssohn wrote in 1843 when he was “in his thirties, at the height of his powers, at the same time that he wrote A Midsummer Night’s Dream.” The sonata’s fourth movement echoes that last composition’s famous “sparkling effervescence. That was his trademark. You can’t miss it,” Fanning declares. Having decided on the Mendelssohn, the women — who both teach at Middlebury as affiliate artists — next thought of Beethoven’s third sonata. Like Mendelssohn, Beethoven wrote his sonata “in his thirties, at a time of incredible creativity,” Fanning says. That is also the period when he composed his fifth and sixth symphonies. Fanning points out that, in his day, Couperin and his family were “the most important composers in France,” but he’s rarely played today except on the harpsichord, “and it’s a shame.” The pieces the duo will play were transposed for piano and cello in 1924 by French cellist Paul Bazelaire, who — like Mendelssohn with Bach — was attempting to return Couperin’s music to prominence. Now Fanning and Davydov are taking up the effort. “If this is a way to get people interested in Couperin, it would be wonderful,” Fanning says. Fanning, who also maintains a career as a soloist, will play the last two of Debussy’s three Estampes (“Engravings”) before the program’s final piece, the Mendelssohn. Besides the appeal of another Frenchman to balance out the sonatas, and the contrast offered by solo piano, the pianist saw the choice as highlighting a parallel between Debussy and Beethoven. Both were innovators and revolutionaries, she points out; Debussy originated what came to be known as Impressionist music. 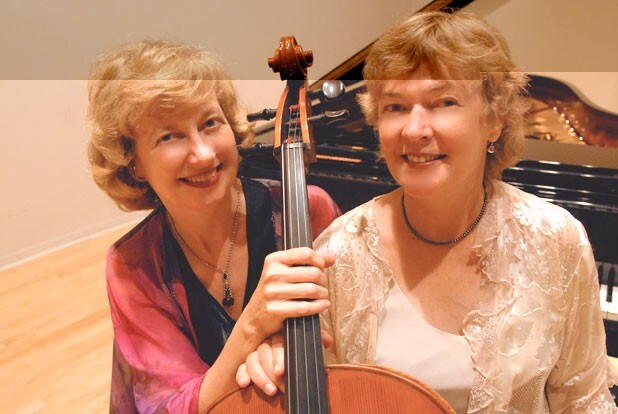 Davydov and Fanning debuted this four-piece program at Middlebury College and a New Hampshire retirement home last week; after Burlington, the duo will bring it abroad next spring for their seventh European tour through France, Switzerland and Holland. Their audiences, one imagines, will vary widely in experience and background. The original print version of this article was headlined "Longtime Musical Partners Fanning and Davydov Talk Programming, Duetting and Classical Hits"